Huawei is quite famous and Honor 6C is also pretty impressive but Pro version of is now out of box with in very short time. Because the predecessor was launched in month of April 2017 and now we are looking at something more gorgeous in form of Honor 6C Pro. It seems odd but our generous hero Huawei Honor 6C Pro is coming with an ordinary MediaTek chipset which is quite good in consumption but still the model of the chipset MT6750 seems outdated in the modern era. Huawei’s Honor 6C Pro got some other attractive features too and that includes its mind blowing and colorful 5.2 inch IPS display which is going to carry a HD resolution. Huawei Honor 6C’s 720 x 1280 pixel resolution is going to be a huge star in this range and the picture quality will also be good as compare to other smartphones from this price range. 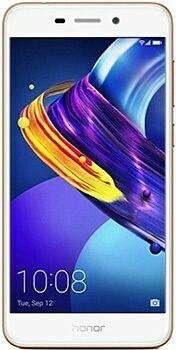 Honor 6C Pro by Huawei got 3 GB of RAM which is going to make a huge impact on the speed of games and all kind of multitasking where internal storage of Huawei Honor’s 6C Pro is 32 which is going to be a big change in this price series and reason behind this is that before this in this price you will get 16 GB of internal storage. Huawei 6C Pro got 13 MP sensor on its back which is going to take care of your pictures where the 8 MP shooter is hired for selfies and video shooting. 3000 mAh battery keeps the 6C Pro alive for almost a day on single charge and you cannot remove it from the back side of the smartphone.